Initially developed in 2001, the Iconic Kahuna cricket bat has stood the test of time and continues to meet the demands of the modern player in terms of profile, pick-up and ultimate performance. The Kookaburra Kahuna Pro cricket bat, has been handmade using 'Players' quality specially selected Grade 1 unbleached English willow. This Limited Edition bat is one of only 25 to have been made. The Kahuna Pro JB Pink Edition bat has been endorsed by Jos Buttler who will use this bat in the 2019 IPL season for the Rajasthan Royals. 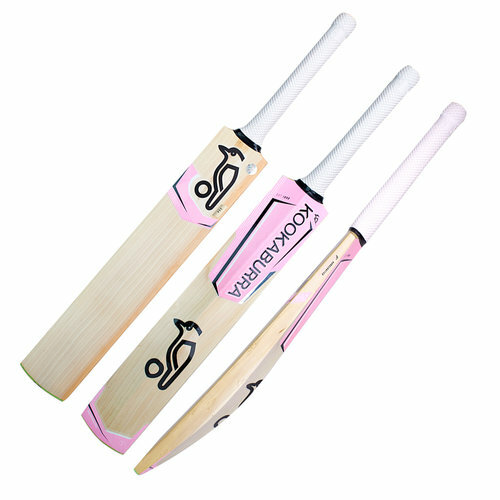 The bat comes with specially designed and developed pink Kahuna graphics so you too can show off how unique your game play is like it's Taunton born supporter will be.